Welcome to the Dreaming of Books Giveaway Hop! There are hundreds of blogs participating and each has their own entry rules and geographic limits, so be sure to read the rules for each one. This hop starts January 27th and and runs through January 31st, midnight. This ends 1.31.12 midnight Pacific Time and the winner will be chosen by Random.org on 2.1.2. Winners are announced on Fridays! Thank you for taking part in this hop. I want to read this book! Thank you! 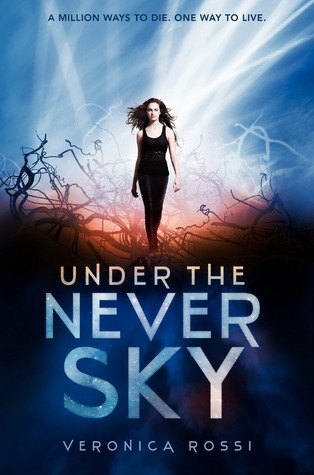 Thanks for the chance to win and read Under the Never Sky by Veronica Rossi. Thank you for the great giveaway and for making it international! Thank you Mary , I have been wanting to read this one! I have heard such good things about this book. Thanks for the giveaway opportunity. Thank you so much for participating in another fun hop and offering an awesome prize! what a great book giveaway. Thank you for the excellent giveaway. I tweeted this giveaway. Thanks SO much for this giveway! I've heard such great things for this book. Thank you for this international giveaway! Thanks so much for the giveaway! I am a new follower and feel particularly lucky today! Thanks for the great choices!